Meeting with First Great Western (FGW) and Passenger Focus to discuss implementation of Oyster pay as you go on FGW. 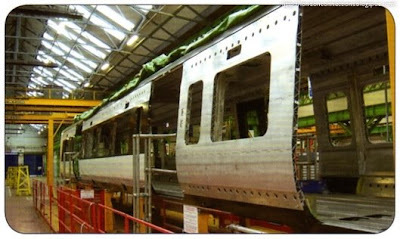 This was on schedule for May 2008 – nine months ahead of most other train operating companies (TOCs). An early rollout was mentioned at another London Travelwatch meeting. First Great Western recently started accepting Oyster PAYG between Greenford and Ealing Broadway, with an extension to Paddington due soon. This announcement appears to allude to all their London services. It may also include Heathrow Connect as far as Hayes & Harlington, since that portion is technically a First Great Western service. I also note 9 months from May is February 2009, which is either a miscalculation or they're expecting other companies to miss the advertised January date. 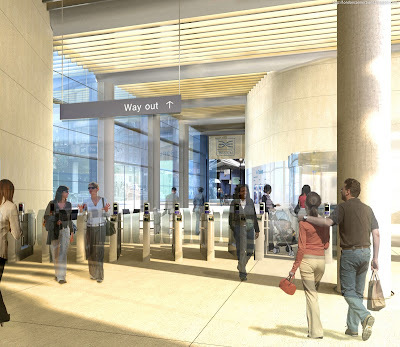 Last night Hammersmith & Fulham council approved the funding plan for Imperial Wharf station, which means everything is in place for the station to go ahead, with construction starting later this year, and opening in 2010. The station will be located on an embankment section of the West London Line between West Brompton and Clapham Junction, and served by London Overground and possibly Southern. 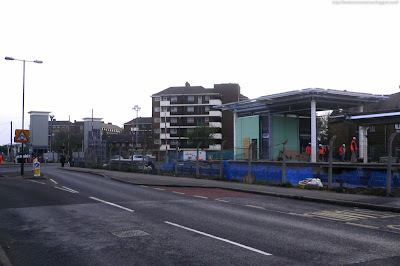 The entrances will be on Townmead Road, which is the road passing under the new bridge* by the bus in the photo above (taken from the southwest). The ticket office will be located within the old bridge to the right, with ticket barriers and stairs up to the platforms either side. I did once locate the planning application which showed all this in detail, but it's alluding me right now - the rendering on Always Touch Out sort of shows the set up. 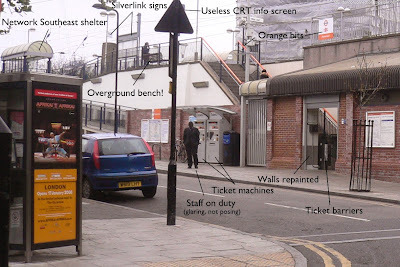 I've been over the plans to install ticket barriers and lifts at Finsbury Park station before, but I saw on TfL's project page they've taken the unusual step of pointing passengers to the planning application, which comes with a long list of documents and plans. The design statement will tell you everything there is to know about the proposal, including photos of disused parts of the station. It suggests Network Rail may install lifts up to their platforms at the same time, and gives serious consideration to Islington Council's Western Ticket Hall proposal. One odd detail mentioned is the spiral staircases need to have their direction reversed. The northbound and southbound cross-sections show just how shallow the tube lines are at the station, and where they're located in relation to the rail platforms above. The future site plan shows a set of doors enclosing the Station Place entrances. This certainly doesn't exist now and isn't part of the works in this planning application, so I'm not sure what that's about. Finally, TfL's site says the application is still pending, but it was actually approved on April 4th. It was barely started last Tuesday. They only seem to be bothering with the southern half of the platform, nearest the station building, at least for now. Today's council meeting that could have finally given the green light to Imperial Wharf station seemed too momentous an occasion to miss, so I popped along, and this is what I found. So that was a waste of time*. We'll just have to wait for the press release. • £1 million from Transport for London complementary measures for the western extension of the congestion charge (already received and with interest accruing). • £1 million from the Lots Road power station development, payable on commencement of development on the land in Hammersmith and Fulham. 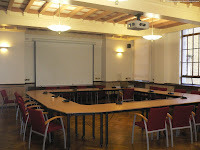 • £300,000 Section 106 funding from Chelsea Harbour design centre, payable upon commencement of development. • £60,000 Section 106 funding already received (with interest accruing) from Sainsbury’s, Townmead Road. That's over £7 million. The final price for the station is a secret (though it was £7.93m), but Hammersmith & Fulham Council are apparently willing to pay the remainder, including if any of the above deals fall through. They'll be paying St George to handle construction of the station. Network Rail and Transport for London don't seem to be involved at all, beyond being consulted on the design. 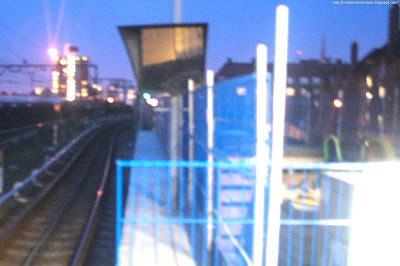 In other platform extension news, most stations on the Poplar-Stratford route now have their extension boundaries marked out with blue fencing. Don't got too excited though. 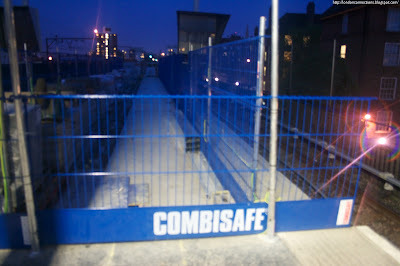 I've just noticed the official completion date has been officially pushed back to early 2010 (not just unofficially). And if you live on the Beckton branch, sorry, you're not included. 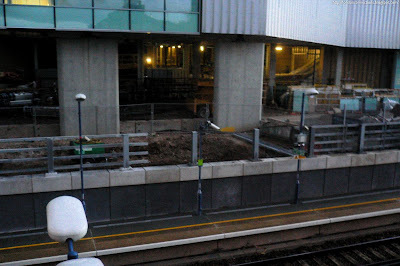 The official London 2012 blog has an post on the upgrade works at Stratford station, with a couple of vaguely interesting photos. I've been emailed a document that includes several interesting bits about DLR current projects, mainly regarding service changes during it. Royal Mint Street Junction remodelling. This is where the Tower Gateway and Bank branches split. 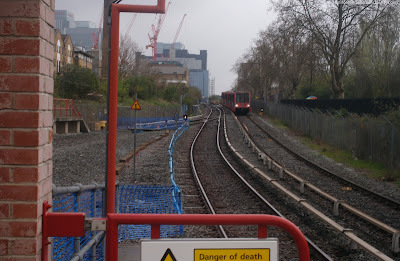 Currently the route to Tower Gateway is a single lead design which limits capacity, and the two tracks west of there are used bi-drectionally to reach each platform, rather than one for eastbound and one for westbound. Hopefully these two problems will be fixed - they'll have to be given Tower Gateway will in future only have one platform. Single-line working south of Crossharbour. For two months starting this June the Stratford-Lewisham service will terminate at Crossharbour and the Bank-Lewisham service will terminate at Island Gardens, with cross-platform interchange to an Island Gardens-Lewisham shuttle, as well as parallel bus services. These services will only use one track, enabling the platform extension work to take place on the other. 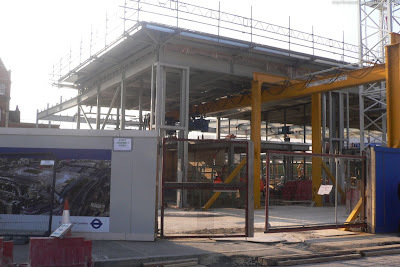 Canning Town junction rebuild. The new junction for the Stratford International Extension is going in east of Canning Town. From 21 April trains from King George V go to Tower Gateway and trains from Beckton terminate at Poplar. From 30 June trains from King George V switch back to Bank, with Beckton services cut back further to Canning Town. This doesn't seem to reduce the number of trains over the junction, but whatever. Bank station closing. For 5 weeks starting Christmas Day 2009, Bank will be closed for works relating to the three-car project. This appears to indicate a delay in the start of three-car running (scheduled for late 2009). 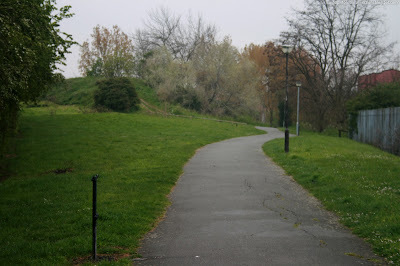 April 2008-Autumn 2009: DLR-Monument (E12-13 and E14-15). These are the ones currently closed. 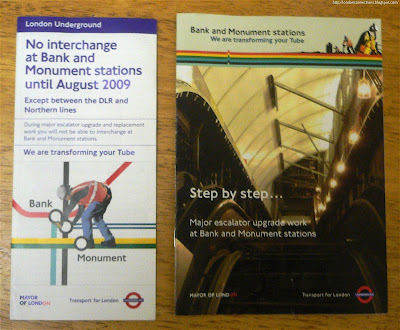 September 2008-June 2009: Northern Line-Monument (E4-5), one at a time. If the remaining one fails the Northern Line will have to non-stop Bank due to lack of evacuation routes. May-October 2008: Lombard Street ticket hall escalators (E6-7), one at a time. 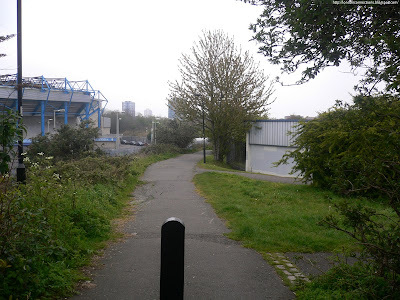 Late 2009-Autumn 2011: DLR to Bank (E8-9 and E10-11). These have already been worked on, but it seems it was life-extending maintenance, and this will be the full replacement. The presentation notes that the DLR escalators are being replaced so early in their life (17 years) due to much heavier usage than anticipated. 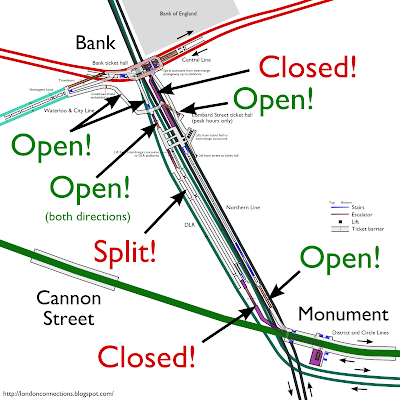 The E4-5 works will mean there'll actually be no Monument to Bank interchange, though Bank to Monument should still be a goer. 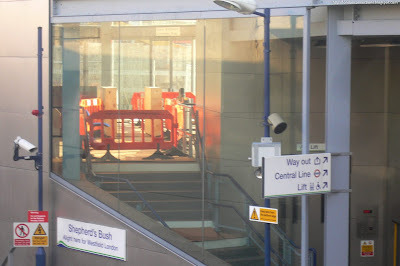 One of the E6-7 escalators is closed already, so that work shouldn't make things any worse at the Bank End. In fact, things are better since I made that last map - the spiral staircase route has been open every time I've been there. This is the first time anything at all at the station has changed in six months. Ever seen a brand new escalator on the back of a truck? One is obviously Shepherd's Bush, and even that saga should be over soon. So we're looking at a timescale - however flimsy - for the construction of Imperial Wharf, which we haven't heard anything about since October. The station also makes an appearance in the provisional future timetable. There's still hope. 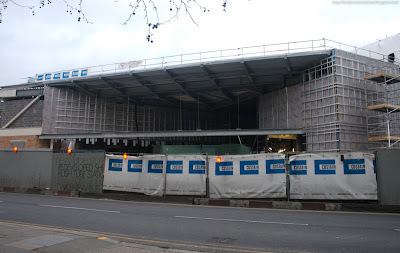 With the opening of Mitcham Eastfields allegedly only a month away, it's time for another visit. So since three weeks ago they've put up equipment rooms for the lifts as well as pillars for the footbridge to stand on - but still no bridge. The station building has gained eaves and the canopies on both platforms look finished but unpainted, and the platform edging looks complete. 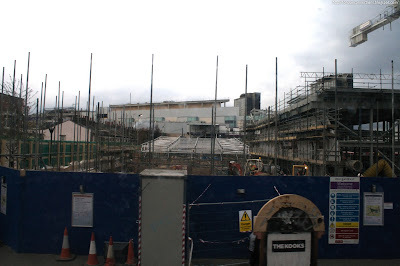 The empty end of the building is where the ticket office, toilets and so on will be. Either it's all going to arrive in one piece on the back of a lorry, or they have a lot of work to do. So was he trying to say it has been approved, but the rules prevent it being announced? Or was he just making an awkward hypothetical? Watch it for yourself - it's only a couple of minutes in. You may also like to consider Peter Hendy's "watch this space" comment and the suddenly coy mention of the project in the last set of board papers. The accompanying article says the delivery of the first two trains in June will be followed by a 15 week programme of night-time testing on the network, presumably to make sure they don't hit anything. That puts us in October for the first trains to enter passenger service, and Dazz has heard the Watford DC Line will be the first to be converted. 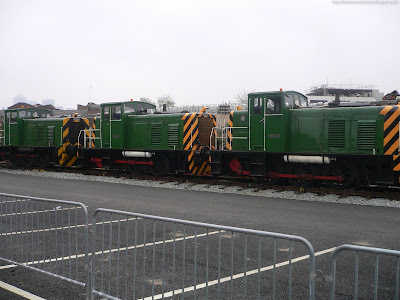 The article says the full fleet will be in service by January 2009. This all only applies to electrified lines. The Gospel Oak to Barking Line will have to wait until the following December for its own fleet of diesel trains to arrive. At the time of printing, the exact opening date of the station has not been determined, however it is anticipated that it will open on or close to 18 May 2008. Times of trains at Mitcham Eastfields (which is between Streatham and Mitcham Junction stations) are included in the tables of this booklet. However trains will not call there until the station has opened. Handy advice in that last sentence. With the recent talk of funding for phase 2 of the East London Line extension, it seems a good time to take a look at what it amounts to. There's an overall route map here. 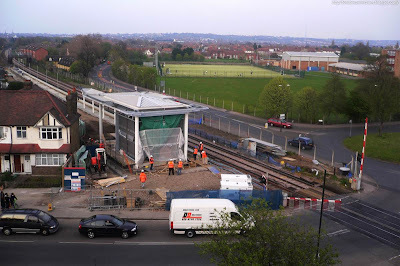 The plan is to reopen just under a mile of long disused track between Surrey Quays on the East London Line and Queens Road Peckham on the South London Line, with a new station at Surrey Canal Road, with trains terminating at Clapham Junction. I've drawn the link and station locations on Google Maps. 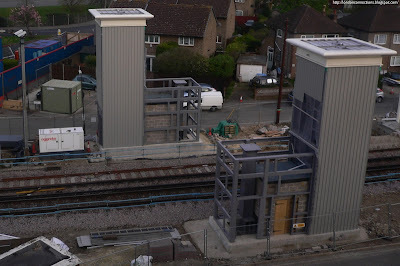 This is a temporary junction put in to allow construction materials for the current works to be taken in by rail, but in exactly the same location as the Phase 2 junction will be. According to the TWA Order the new junction will be grade separated. Southbound trains turning right towards Clapham Junction will pass underneath the track carrying northbound trains from the other branches. Obviously serious construction work will be required to achieve this, and I don't think it could easily be done after the line reopens. There were once three tracks here, so there'd still be a spare arch for the footpath. Crossing over the footbridge you're only about 200 yards west of where the main East London Line also crosses the road at the north end of the New Cross Gate depot site. 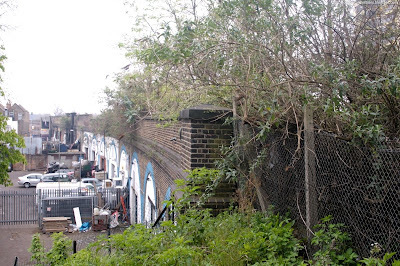 The TWA Order states the footbridge will be replaced by "a new bridge incorporating a station", meaning Surrey Canal Road station will be build above its namesake. 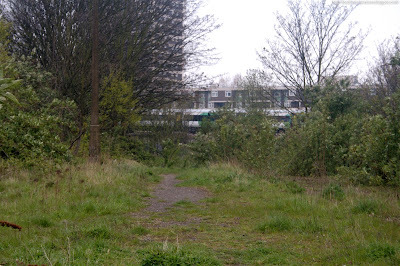 The East London Line will follow the footpath to the right, on a route closed since 1913. Another single track once turned left - explaining why there were three tracks earlier - connecting to the west side of New Cross Gate station. This route was closed in 1964 but potentially could have done the same job as the New Cross Gate flyover, if there weren't now houses in the way. 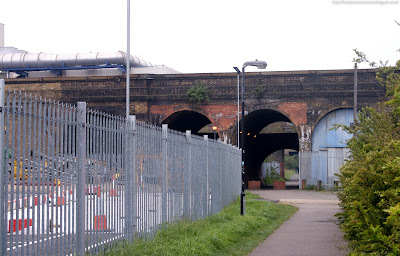 Which is where trains continue along existing tracks to Clapham Junction. The TWA Order is ambiguous about whether a flat or grade-separated junction is envisaged here, but I'd lean towards flat. 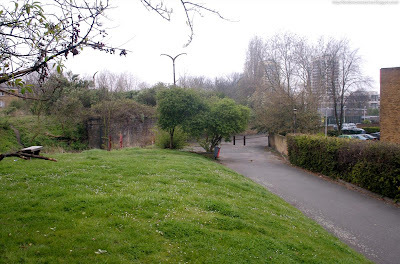 It's hard to imagine a railway passing along here now, as its entirely open as public footpaths, and at the south end passes through a quiet residential neighbourhood. The Transport and Works Order for the branch has already been approved, so there's limited scope for residents to object, but TfL will still require planning permission for the individual structures. Replacement of existing DC traction system by new AC traction system on approximately 85 trains each of 8 cars. Requirement includes replacement of 4 electric traction motors and related equipment on each car. Almost all new electric trains are built with AC motors - including the Jubilee and Northern Line fleets - as they're simpler, smaller and more efficient. Note that "AC" refers only to the design of the motors and the way they're controlled, so the fourth rail DC supply system on the line will not need to be replaced. It would previously have been Metronet's responsibility to solve this problem. You may like to ponder whether they'd been putting off fixing it properly. Complete taking over the rail route from Crystal Palace to Beckanham Junction is still a possibility, although not currently part of the preferred scheme. The route across the other rail tracks is still under consideration. 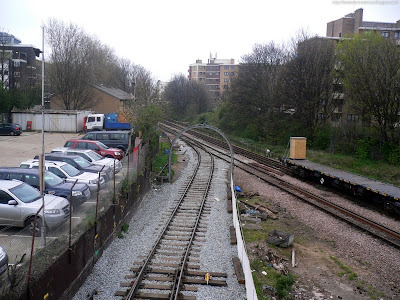 They reckon they can get from Penge Road to Anerley Road using only existing railway land, rather than talking away adjacent back gardens as I suggested*, though I doubt they can manage this between Anerley Road and Crystal Palace station. * Yes, they bothered to read my blog. A lot better than when I phoned TfL's press office to ask for an explanation about Bank-Monument, and was yelled at almost immediately, and told I should just post whatever nonsense they'd put in their press release, how dare a blogger question TfL. I've just been reading through this transcript of a recent London Assembly Transport Committee meeting in which Peter Hendy talks in detail about the East London Line Extension Phase 2, Cross River Tram, Oxford Street Tram, taking over local rail services and various other topics. There aren't any major revelations, but it's worth a look if you're interested in TfL's current thinking on these projects. One thing that did catch my eye was blaming the overcrowding at King's Cross St Pancras tube station on the Thameslink station being moved away, putting more passengers through the ticket hall gateline. He also mentions the advantages of putting in the junction by Surrey Quays for ELL phase 2 while the line is still closed, and hints at a development in this area. On the subject of why TfL won't just pay for it themselves, he does some logical maneuvering to label Thameslink as a national project and so its knock on effects should be paid for out of national funds, ignoring that TfL wanted to do it anyway. Unconvincing. I've made a diagram of the new Circle Line, so it's clearer what the proposal is and what issues it causes (click to enlarge). I've included the other lines and their frequencies. As I understand it, each service on the network runs at roughly 7 trains per hour (tph), so that trains align when they meet at junctions. Hence one line on my map represents one 7 tph service, and the overall line thickness where they run alongside each other represents the total frequency on that section of track. I'm assuming that apart from the changes to the Circle, there'll be no significant changes to other lines. You can see how there'll be double the number of trains on the branch to Hammersmith, but it also illustrates the big downside, which is the separation of the north and west sides of the [present] Circle Line. All trains from High Street Kensington terminate at Edgware Road, and all trains on the north side go to Hammersmith or up the Metropolitan Line, with none going towards High Street Kensington. The major operation concern: the number of trains running over the flat junction at Praed Street, which will increase by a third because Circle Line services go over it twice on each journey. Farringdon station - "replacement of the existing interchange bridge, construction of part of a new station entrance & concourse on Turnmill Street and other minor works on emergency access / escape routes and cable diversions"
Blackfriars station - "a wide range of advance works at and around the existing National Rail and Underground stations and on the railway bridge across the River Thames "
This is all preparatory work that will happen this year, ready for the main construction work from 2009 to 2011. 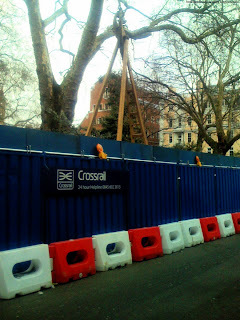 A few weeks ago I attended a talk by the Engineering Director of Crossrail. Nothing particularly juicy was revealed, but there were some great diagrams shown. This station diagram corresponds with the general layout of Tottenham Court Road (it's definitely not Liverpool St), with Oxford St runs along the top where the stairs come out, with Chraing Cross Road on the far right. As noted in the talk, the amount of walking needed to get from the platform to the street is designed to be as small as possible. Diagram of a running tunnel No chance of getting a double deck train in. Paddington station platform area, showing the huge slot that will allow daylight all the way down. 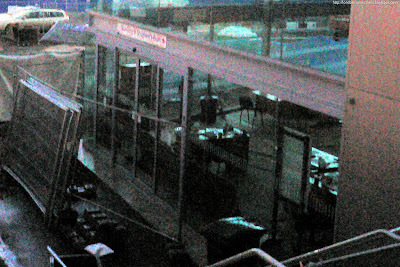 You can also see the platform edge doors. I would have posted about this a while ago, but I've been trying to get copies of the actual images. An apparently cooperative press officer did send me a couple of renderings, which weren't what I was after at all and are barely worth your time. But in the interests of having a petty "you won't find these anywhere else on the web" exclusive, I'm posting them anyway. "Tottenham Court Road - Upper concourse"
"Bond Street - Western Entrance - Davies Street ticket hall"
The only things worth noting are the video avatars on the ticket machines (and no ticket offices) and the incredibly poor compositing work in the background of the second image. Plans to rework the subsurface network* have been being discussed for years now, but with no real indication of exactly what is planned and when it might happen. This posting quotes TfL's current thinking and it looks fairly definite to me. The plan is to have Circle Line trains start at Hammersmith, run along the Hammersmith & City Line to Edgware Road then do a clockwise lap of the Circle, arriving back at Edgware Road. They'd then reverse and go anticlockwise round the circle back to Hammersmith. Despite my headline, the service would continue to be called the "Circle Line". The big advantage for passengers is the doubling in service to Hammersmith as the Hammersmith & City Line will continue to run - currently the branch only gets 7 trains per hour. The big drawback is no through service between the west and north sides of the Circle - you will always have to change at Edgware Road. There will be 133 7-car trains. If this is all about the Hammersmith-Barking service, and D-stock replacements remains 78 S7 instead of 75 D6, then leaves 55 S7 to replace 46 C6, which must be the T-cup service enhancement to Hammersmith. The other rumoured change, to have the Metropolitan run to Barking and the Hammersmith & City to Aldgate appears to be dead. 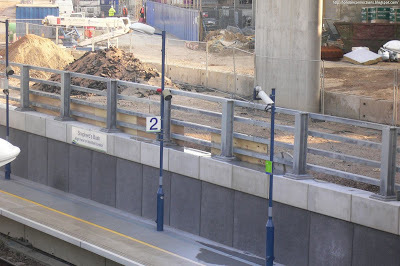 Before I start, potentially big news: An anonymous commenter reports that work has begun today to move the wall at Shepherd's Bush Overground after six months of inactivity. Can anyone confirm? Moving just around the corner to Shepherd's Bush tube station. This gap is where the original building stood, of which nothing remains. The framework must be to protect the escalator replacement works. On the right is one half of the new building, which will eventually cover the whole site. 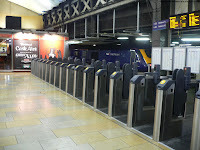 Ticket gates are now being installed at Paddington station to wall off most of the suburban platforms and resolve the lack of full gating on the mainline platforms. They should come into use in the next month or two, hopefully coinciding with the extension of Oyster PAYG. The current setup is fairly interesting. Platforms 2-5 are gated at the concourse end, but the footbridge halfway along allows free access from the ungated platforms. Similarly, the gates on the footbridge for the Hammersmith & City Line (15-16) also include platforms 13-14, which are ungated at the concourse end, again making it easy to slip behind them. 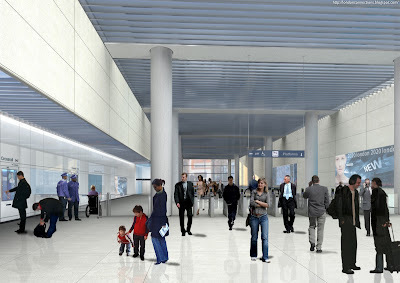 The plan is to put a new gateline across the north side of the concourse (pictured) to enclose platforms 10-16, and move the H&C gateline along the footbridge to match. New gates on the footbridge will properly close off 2-5 (this diagram from the planning application should make everything clear). Of the remaining platforms 1 is used for access and essentially ungateable; 6 and 7 are dedicated to Heathrow Express; leaving only 8-9 conspicuously ungated. The North London Line will be split in two from September 1st to November 16th for the enlargement of Hampstead Tunnel for container trains. The services will be Richmond-Willesden Junction and Gospel Oak-Stratford. For the week of September 22nd-28th, the section from Gospel Oak to Camden Road will also be closed. During this week, trains from Stratford will instead run to Willesden Junction via Queen's Park. From September 1st to September 28th, the Gospel Oak to Barking Line will also be closed. Major track maintenance and replacement will occur, probably not unrelated to the upgrade of the line. Obviously this is all subject to change. Previously mentioned here. 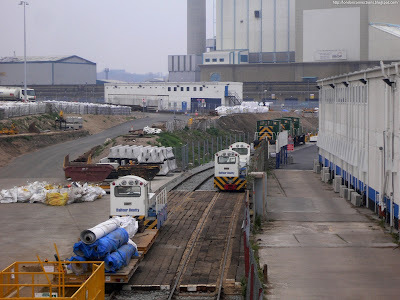 Network Rail and Kier Property Limited (Kier) will work together in equal partnership to regenerate brownfield sites. The initial portfolio of sites are six stations at Enfield Town, Epsom, Guildford, Maidstone East, Twickenham and Walthamstow and a further site at Wembley Cutting and have a gross development value in excess of £500m. The press release also mentions redevelopment plans for Euston and Victoria will be announced soon. King's Cross and London Bridge already have schemes on the table, and the plans for Waterloo are ongoing. 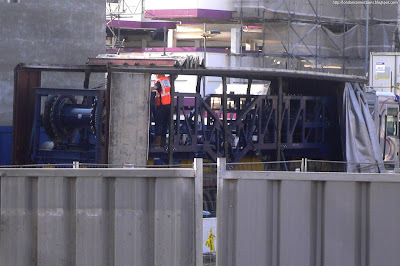 Still wondering why passageways without escalators have been closed for escalator refurbishment? This internal staff briefing document has answers [hosted by Going Underground]. In particular, read the "Why will this help?" section. Reducing the crowding on the Northern Line platforms. I can't figure out whether this is bonkers or genius. Here's a quick map I've knocked up of the route of the East London Line extension through New Cross Gate. I hope it gives a good idea of how everything fits together - the tracks along the top are the old ELL route (only the southbound will be in regular use), while the one along the bottom is the new connection. The background is a diagram of the under construction New Cross Gate depot taken from this planning application. The new connection includes a flyover over the main line, the main span of which has been assembled alongside the line, as shown on the diagram. This bridge is far too heavy to moved by crane, so it's going to somehow be pushed into place using "self propelled vehicles". The planning application for the flyover is here, and includes some good diagrams and rationale.